For a limited time only, Google Play is hosting a 25% off deal on select Nexus 5 and Nexus 7 accessories. 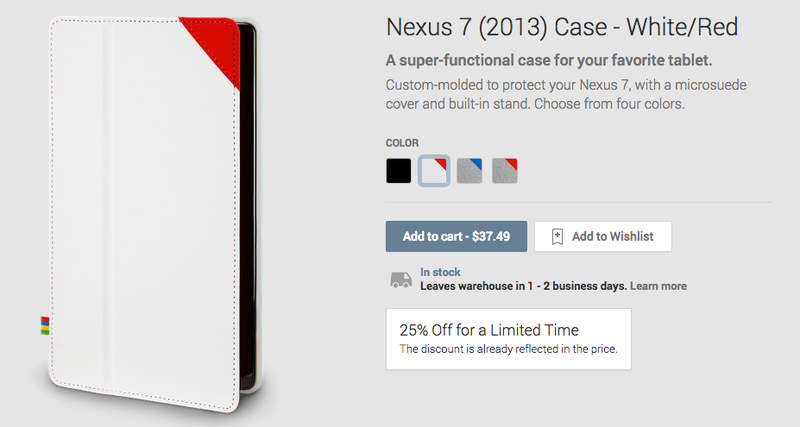 It’s not the longest list, but if you were looking to score a Nexus 5 bumper case or a Nexus 7 folio case, now is the time to do it. The deal looks to be limited to cases and sleeves, so don’t get your hopes up for 25% off on a wireless charger or anything like that. Just follow the link below and start grabbing the deals. Grab your 25% off deals right here.